Most people would agree that we live in busy times. Between work, getting the kids to and from school, after-hours appointments and commitments it is hard to find time to blink and sneeze let alone do the dishes, the washing and to look after the garden as well! But what’s the point of all this busy if you can’t spend some time relaxing on the weekend in your gorgeous, lush and relaxing yard? We’re going to look at a few ways that you can create a beautiful, yet low maintenance garden that is a pleasure to be in but isn’t a headache to keep alive! A dense, thick garden full of plants is great because it looks amazing but is also quite low-maintenance once it is established. If soil is shaded from the harshness of the sun it will last longer and be less likely to erode, while more foliage means more protection against damaging winds. Shady soil is also tough going for weeds – and the less weeds you have the less weeding you need to do! When it comes to a gorgeous and low-maintenance garden, your choice of turf has quite an impact on the final result and how much work you need to put into it. 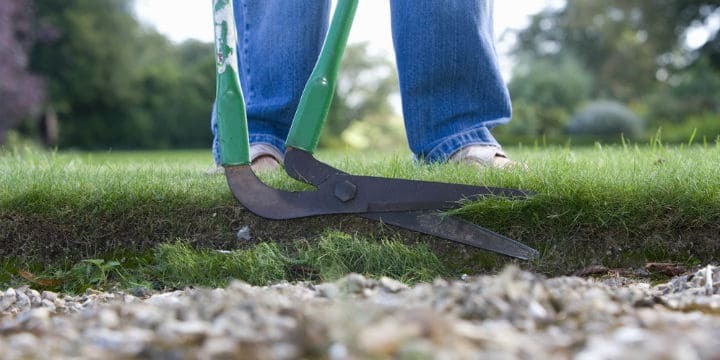 Choosing a variety of grass that is durable and doesn’t require a high level of mowing maintenance is your best bet. All types of Buffalo grass and Conquest couch are a good idea – but Buffalo is probably your best bet as it tolerates the shade better than Conquest couch. If you’ve followed the above tip then you are already planning a very shady oasis in your yard! Growing Cacti and succulents is one of the tried and true methods of getting a gorgeous garden for not much effort. These types of plants are incredibly hardy and are used to surviving in quite brutal, desert-like conditions. They require minimal water and grow slowly so you’ll rarely have to prune them, if ever. They also look amazing and some even bloom and look even better. Where are you located? Are you in Newcastle or Alice Springs? Melbourne or Byron Bay? The weather in your region will be a significant deciding factor in the types of plants that you choose. Some plants that may thrive with very little maintenance in one city may find it a struggle to survive in another. Do your research and find out just what plants are ideal for your exact location. Also keep in mind that Australia can be drought-prone and some local councils will enforce water restrictions, so you may want to choose particularly hardy and durable grasses and plants. Hi Quality Turf can help advise you on the best garden choices for your yard. To get an instant quote or buy online, visit our website now or call 1800 040 981 for any inquiries. You can also see our full contact details here.